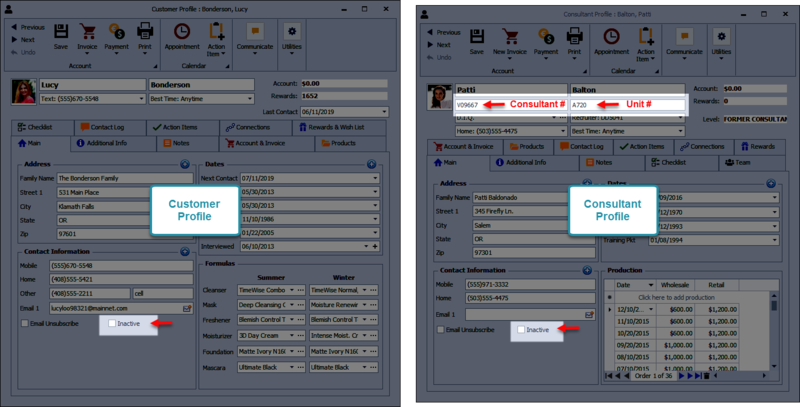 If you are creating a profile and receive a message that the profile already exists, or you cannot find a profile that has been previously created, the following may assist you in locating the contact. 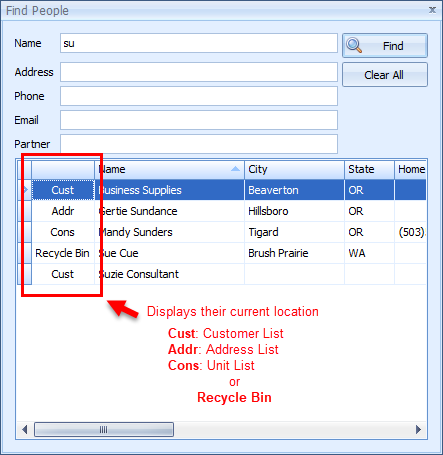 If the contact is located in the Recycle Bin, see Restore or Delete from the Recycle Bin. If the missing or duplicate profile is for a consultant, do you have the correct unit and/or consultant number entered? Are there any sidebar quick filters set? To remove filters, from the list's tool bar click .